Humanity’s eschatological infatuation is nothing new. Armageddon, the Rapture, Ragnarok — most ancient cultures had an end of days narrative. Early Christians awaited it eagerly. In the Medieval Europe, the Black Plague fueled people’s macabre imaginations as the world around them withered and died. Nostradamus made a name off it. It’s a theme we seem to turn to in times of uncertainty. The severity of the current threats to our existence can be debated — terrorism, global pandemic, robot apocalypse — though I’d argue our fears may be more existential in nature than any external menace. Nonetheless, our imaginations have once again gravitated toward the end of all things. From the glut of bleak futuristic young adult fiction like The Hunger Games and Divergent to even bleaker TV dramas like The Leftovers and The Walking Dead, we can’t seem to look away from the potential horrors that await us. While many of these projects have been entertaining, few attempted a comedic take on the post-apocalyptic hellscape. 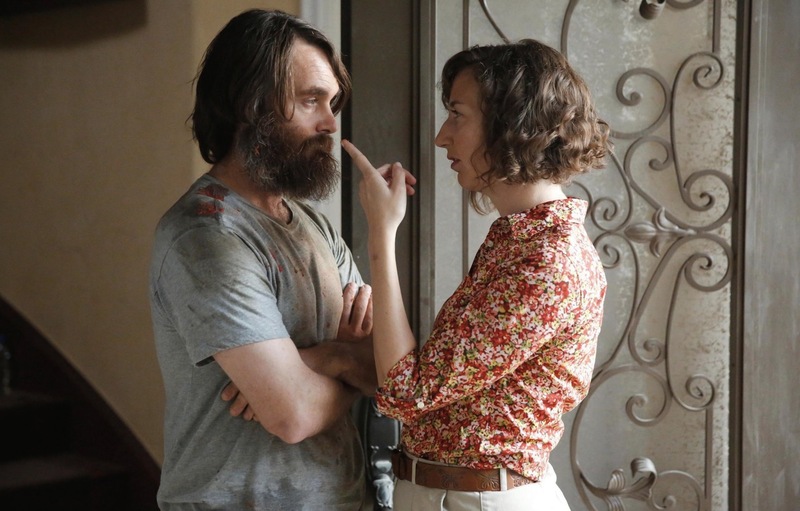 Fox’s The Last Man on Earth aims to fix that. Created by Phil Lord and Christopher Miller and starring Will Forte and Kristen Schaal, the new sitcom declares its premise right in the title. Forte plays Phil Miller, Earth’s last remaining man after a virus wipes out the rest of the human race. The premise sounds simultaneously too simple and too ambitious. How can you sustain a show about one person? Won’t you inevitably run out of story? In front of the camera, Forte is matches their talent. His stint on Saturday Night Live was legendary, and his output since in films like Nebraska as well as his various TV roles and voiceover work has shown his range as an actor. As Phil, Forte swings from exuberance to melancholy as he slowly comes to terms with his new reality. After a year or so traveling the country looking for other signs of life (and looting more than a few national treasures), he returns home to Tucson to squat in a McMansion and let himself go as he rides things out. But days filled with drinking, extreme bowling and self-love are not as fulfilling as you might thing. Even a margarita pool gets old after a while (even if there’s no wrong way to use it). Sure, having the entire planet as your playroom might like seem fun at first, but the inevitable loneliness would be crushing. Once Phil hits that wall, he attempts to build friendships with inanimate objects is both humorous and troubling. His drinking buddies are various game balls à la Castaway. He eventually gets so desperate for human contact he starts courting a female mannequin in a department store window. Forte’s ability to keep things silly adds to the show’s overall light-hearted take on the end of humanity. Though pathos is deployed sparingly with great effect. In the pilot, Phil briefly reminisces about his family. It’s a bittersweet moment that reminds you of the tragedy he has certainly encountered prior to our meeting him. Fortunately, the show doesn’t linger on these moments, preferring to keep things moving forward. By the end of the pilot, Phil has reached rock bottom. Hope arrives, however, in the form of Schaal’s Carol, the ostensible last woman on earth. We’ve seen Schaal do manic weirdo quite a bit, from her correspondent duties on The Daily Show to her unhinged tween Louise Belcher on Bob’s Burgers. Here she’s a bit more subdued, but no less funny and weird. As Carol, Schaal is the antithesis of Phil. Where he has abandoned any semblance of social decorum, she still rigidly maintains order in a world with a population of two. She stops at stop signs, does not park in handicap spaces, and refuses to dangle her prepositions. Both characters acknowledge that they need one another. Carol sees it as a biological imperative: they need to repopulate — though she says Phil will have to put a ring on it first. Phil, meanwhile, just wants to get laid. The clash of personalities presents good conflict between the two characters, and creates a massive obstacle to the future of the species. Nowhere has the phrase “I wouldn’t sleep with you if you were the last man/woman on earth” been more real. Compared to the rest of Fox’s live action sitcom lineup, Last Man on Earth feels a bit out of place. New Girl, The Mindy Project and Brooklyn Nine-Nine are all strong albeit straightforward ensemble comedies, with the latter landing in my top three sitcoms on TV right now. While all three are good (and popular) shows, none are especially innovative. Lord and Miller are on a roll right now. They’ve proved they can succeed with even the trickiest of source material (1980s TV shows, Legos). It’s been exciting to watch them to create such interesting and unique things. And with comic talents like Forte and Schaal along for the ride, there’s a lot to like about The Last Man on Earth. The Last Man on Earth airs Sundays at 9:30 p.m. on Fox.